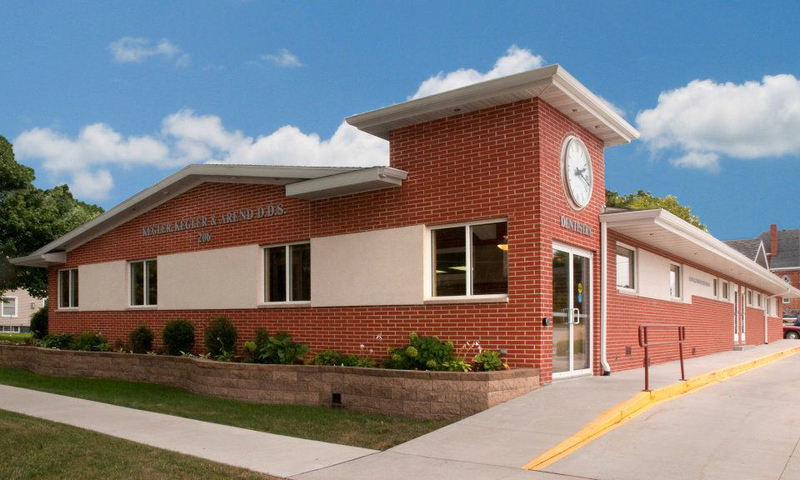 Kegler, Kegler & Arend DDS PC has been serving Independence and the surrounding communities for over 60 years. We are located near the heart of downtown Independence and our dentists are accepting new patients. We focus on patient-centered care and it is our goal to educate you about your dental health. By using digital dental x-rays and intraoral photographs, our dentists are able to not only tell you about the condition of your mouth and teeth, but we can also show you how they look to help answer any questions you may have. We look forward to having you and your family as patients. Call (319) 334-3342 for an appointment today! We’re conveniently located in downtown Independence. The dentists at Kegler Kegler & Arend DDS PC are here to serve you. Kegler, Kegler & Arend perform a full range of dental services, now offering Invisalign.